American DJ LED Pixel Tube 360 Color Tube with Polycarbonate Tubing (LED075) - Limited Quanities! American DJ factory refurbished SAVE BIG! Authorized dealer with warranty! The ADJ LED Pixel Tube 360 is an exciting, bright LED color changing tube that consumes very little power, generates no heat, and has an LED lifespan of 50,000 hours. This lighting effect is best when used in multiples for night clubs, architectural lighting, mobile entertainers, bands, holiday lighting, retail stores, and home parties. American DJ factory refurbished product gives you the opportunity to buy amazing products at the lowest possible prices. But hurry because every item has limited quantities so these offers wont last long. Factory refurbished product includes items that have been sent back to American DJ for return, or warranty. American DJ then takes this product through their refurbishing process: first a technician will diagnose the problem with the product, once the problem is found an American DJ tech at their Los Angeles, CA headquarters will fix the problem, the product is then run through rigorous testing to ensure it performs exactly like NEW, then sent to us for resale. 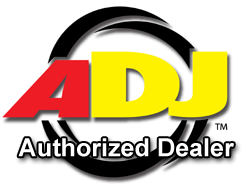 We are an authorized American DJ dealer so every item is guaranteed with a 90-day warranty from American DJ, and through us as well. Save big, limited quantities, these deals will not last long! This item has been refurbished by the manufacturer. Factory refurbished product gives you an opportunity to buy products at the lowest prices possible. Hurry because every item has limited quantities so these deals wont last long. Factory refurbished product includes product that has been sent back to the manufacturer either due to a warranty, or return. This product then goes through the refurbishing process: first every product is tested to find out what's wrong, once diagnosed a technician at the manufacturer headquarters will fix the product if a problem is found, then run it through a series of rigorous tests to ensure all problems have been fixed, the product is then re-packaged including everything in the box you would get with a brand new item. We are an Authorized Dealer and every item is guaranteed with a 90-day warranty.